Not all wages payments to staff/workers are subject to SOCSO contribution and there are certain wages excluded from SOCSO contribution. All companies in Malaysia must register itself with SOCSO within 30 days from the day it starts employed new staff/workers. The name and both the identity card numbers of an employee has to be written exactly as stated in the identity card. Both the Form 1 and Form 2 together with relevant documents shall be delivered to the nearest SOCSO office for registration. 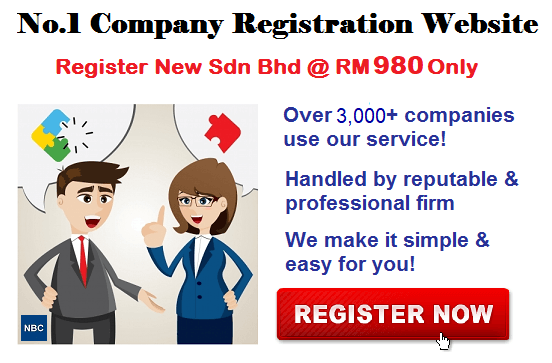 SOCSO office will issue an Employer’s Code Number to the employer as proof of registration. A company must remit its SOCSO contribution payment to SOCSO offices not later than the last day of the following month. For example, contribution for the month of April 2013 must be paid not later than 31th May 2013. Pejabat Pos Malaysia (for Sabah & Sarawak only). SOCSO office only accepts payment by cheque or postal money order. 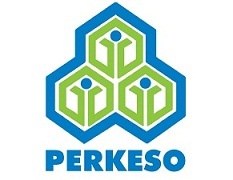 For employers who submit contribution records through computer diskette/tape, payment must be made at the SOCSO office where they are registered. Refers to an employer who has employed an employee directly to work for him. The employer is responsible for the payment of wages and all the service matters of the employee. Refers to an employer who works for a principal employer or undertakes part of the work of the principal employer by way of a sub-contract. The immediate employer has direct control of the employees employed by him. The principal and immediate employer who employs one or more employees is required to register and contribute monthly to SOCSO for all employees under the Employees’ Social Security Act, 1969 (henceforth refer as Act). The principal employer is also liable to ensure all employees employed by the immediate employer have been registered and their contributions have been paid. Under the Act, an employee is defined as a person who has been employed by an employer under a contract of service or apprenticeship. 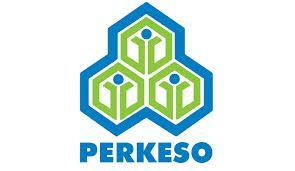 Employees Monthly Earning At RM3,000 Or Less must contribute to SOCSO. SOCSO’s coverage is only for employees who are Malaysian citizens and who are permanent residents. Employees Monthly Earning More Than RM3,000 who never registered or contibute to SOCSO are given an option to be covered under the Act. Employees who have been previously registered with SOCSO and now earn more than RM3,000 must continue to contribute in line with the principle of “Once In Always In” under the First Schedule of the Act. Once an employee is eligible under the Act, he will always be eligible for coverage irrespective of his next monthly wage. All employees eligible for coverage under the Act must register and contribute to SOCSO. 1) Who is classified as an employee under the Employees’ Social Security Act, 1969? An employee is any person who is employed for wages paid under a contract of service or apprenticeship with an employer, whether the contract is expressed or implied, or oral or in writing, or in connection to the work of an industry to which the Act applies. 2) Are temporary workers / part time workers covered by SOCSO? Temporary or part time workers are required to be registered with SOCSO. 3) Does the employer need to notify SOCSO if the employee stops working? The employer must fill in the date of termination of the employee in form 8A and mark “X” in the space provided. 4) What is the age limit for employees to contribute? 5) Are penalties imposed on employers who fail to register / contribute? Employers may be prosecuted and shall be punishable with imprisonment for a term which may extend to two years, or with a fine not exceeding ten thousand ringgit, or both. 6) How is the mode of payment and contribution to SOCSO determined? Employee contribution rate is based on the employee’s wages, overtime, commissions, service charge, annual leave emoluments, sick leave, maternity leave, public holidays, incentives, meal allowance, cost of living and housing allowance and so forth. All payments whether hourly, daily, weekly or monthly-rated are considered wages. Monthly contribution rates for employers and employees is shown in the Contribution Schedule based on 34 salary categories. 7) Where can the payment of contributions be made? Contribution payments can be made at all SOCSO offices and also at appointed banks such as Maybank Bhd, CIMB, Public Bank, RHB, post offices (for Sabah & Sarawak) and designated banks in specific areas. 8) How can SOCSO contributions be made if the employee stops working in the middle of the month? Employers are only required to pay contributions based on the total wages paid to employees for the month. However, if the salary is paid until the 15th day of the month, the contribution is based on salary paid for that particular month. 9) When is Interest on Late Payment Contributions (ILPC) applied to the employer? The employer is liable to pay monthly contributions not later than the last day of the following month. For example, January contributions should be paid not later than February 28. ILPC is charged for late payment of contributions at the rate of 6 percent per annum for each day of late payment contributions. If late payment interest is calculated to be less than RM5, then interest is charged at RM5 per month. 10) How is the ILPC paid? ILPC can be paid at RHB Bank and Public Bank by submitting an ILPC statement to the bank to stamp the date received and by stating the SOCSO account number. Employers are not required to fill in bank slips. Late payment cheques for each month (ILPC ) is issued separately. ILPC can also be paid at all SOCSO offices. 11) How do we report an accident and what are the documents needed to make a claim? For accidents at the work place, the employer has to notify SOCSO by filling in the Accident Report (Form 21) and submit a claim form (Form 10), punch cards or attendance records, medical certificate and a copy of the identity card to the SOCSO Office. If the accident occurs while commuting to and from work, these documents must be accompanied by a police report and sketch map of the route taken at the time of accident. 12) Does SOCSO bear the cost of medical treatment? Where can treatment be obtained? Any employee who is involved in a work-related accident, commuting accident or has occupational disease is entitled to free medical treatment at SOCSO panel clinics, government clinics and government hospitals. Employees are required to bring the Accident Report Form (Form 21) or Occupational Disease Report Form (Form 68 SMEs or SME 69) or a referral from the employer for the treatment. 13) Who is eligible for Constant Attendance Allowance? This allowance is paid to an employee who suffers total permanent disablement or is severely incapacitated with a 100% loss of earning capacity or certified invalid and constantly requires personal attendance. His need for a care giver must be verified by a Medical Board or Appellate Medical Board. This allowance is equivalent to 40% of permanent disability benefits or invalidity pension and is subject to a maximum rate of RM500 per month. Payment is made directly to beneficiaries. A company is required to contribute SOCSO for its staff/workers according to the SOCSO Contribution Table & Rates as determined by the Act. The company will pay 1.75% while the staff/workers’ will contribute 0.5% of their wages for the Employment Injury Insurance Scheme and the Invalidity Pension Scheme. Both the rates of contribution are based on the total monthly wages paid to the employee and contributions should be made from the first month the employee is employed. The employer must remit the monthly SOCSO contribution according to the rates stated in the SOCSO Contribution Schedule in the following month and according to the types and categories of SOCSO contributions. SOCSO contribution is compulsory for all employees from the first month the employees are employed.